In an automotive landscape with more models that you could possibly research in a year, some car shoppers fall back on the dated idea that more money means a better car and head to luxury dealerships only. We are here to tell you that that isn't always the case. Case in point: the Buick lineup. 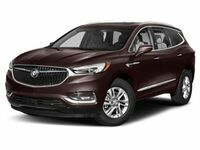 The Buick lineup consists of car and SUV models that can go toe-to-toe with some luxury models and come out on top. 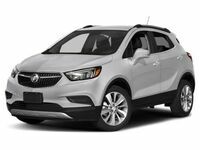 No matter which Buick model car shoppers choose, they are sure to be met with a stylish and high-quality model that looks just as good as it performs. The Auffenberg Carbondale Buick, Cadillac, GMC dealership in Carbondale, IL makes finding a new or used Buick easy and fun. Stop by the dealership to talk with a dealership representative and get behind the wheel with a test drive, or do some additional research about specific models using the research tools available on the Chris Auffenberg blog and research pages. First and foremost, the goal each and every day at the Chris Auffenberg family of dealerships is to provide quality customer service to each and every customer that walks through our doors. That means listening to what car shoppers are looking for and being upfront and honest about what we can offer. We carry a large selection of vehicles from a wide variety of brands at our seven dealership locations throughout Missouri and Illinois. Car shoppers can trust that we have a model that will fit their needs. We also have comprehensive finance departments and service centers that allow us to offer our automotive customers one-stop service long after the sale. We look forward to working with you.